Christmas is a special season for many people. It’s one of the few long holidays that you get during the year which means there’s so much that can be done with that time. Many people use the opportunity to catch up with family and friends. Others take this time to rest and catch up on much-needed sleep. The idea should be to make your time as memorable as possible in the way that you see fit. You may need a little inspiration regarding what you should do this year if you want to try something different. 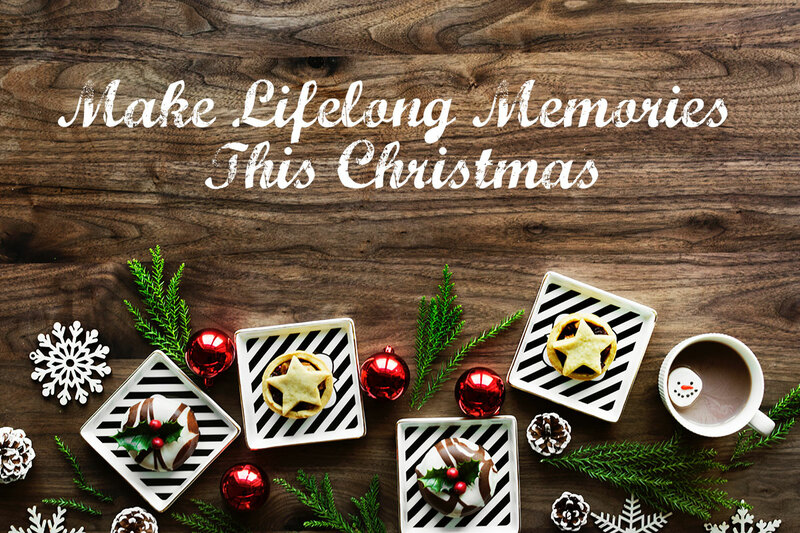 Check out ideas on how to make lifelong memories this Christmas below. One idea for making lifelong memories this Christmas is going to sing Christmas carols with your loved ones. There’s something about singing your heart out that can help put you in high spirits as well as make Christmas feel like more of a reality. Singing Christmas carols is also said to be good for you seeing as singing is a form of exercise. For the most part, it’s a social activity that the entire family can enjoy. The laughter in between wrong keys will likely make it memorable for everyone as well. Some people may see it as cheesy but taking family portraits during Christmas is something both fun and sentimental that you can do. It’s an opportunity to be creative as well seeing as you could do fun things like wear Christmas themed pajamas or Santa hats. See whether or not you can afford a professional photographer and if not, try going to a studio. This is an opportunity to create more tangible memories during Christmas as you can frame them, and it gives you something to smile about. Good memories often consist of moments that you feel immense joy, happiness, and contentment. On that note, you may find that going to see a theater show gives you at least one of these feelings. Look online for Christmas shows for kids and see which you think the whole family will enjoy. For instance, you could choose to watch Matilda as it would likely resonate with the kids as well as spark childhood memories for you. You can sit down and review the options as a family and see which show gets the highest vote. Once you’ve decided, try and book as early in advance as possible seeing as Christmas is likely to be a busy period. If going all out is your thing, why not throw a Christmas party this year? It’s a chance to make the day fun as well as bring all of your family and friends under one roof. A fun family party game to consider is the dictionary game. In this game, players would take turns finding a unique word in the dictionary and others have to figure out the meaning. You could also stick to familiar games like charades and musical chairs. Christmas is a time where your spirits should be high, so doing what makes you happy is important. Although it comes around every year, you want to be sure that each one holds unique memories that are hard to forget. Beautiful life & memories are not always “au naturel”, sometimes we have to help it :) So think ahead about this holidays & don’t end-up all disappointed & in your head like I was few years back, make you Your Christmas truly Merry & Happy.